Twin Peaks will premiere in 2017 on Showtime. 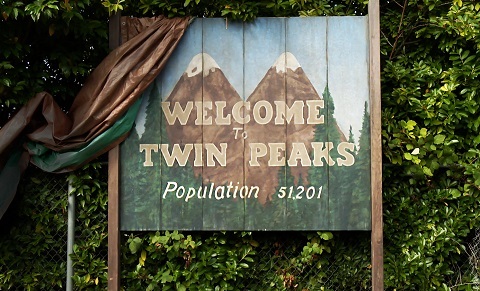 Principal photography has concluded on the highly-anticipated new Twin Peaks for Showtime. And today, the network, David Lynch and Mark Frost revealed a key piece of the mystery: the official cast of the series. Written and produced by series creators and executive producers David Lynch and Mark Frost, the new Twin Peaks is directed entirely by David Lynch, and will premiere on Showtime in 2017, on-air, on demand and over the internet. One of the most groundbreaking and influential television series of all time, the new Showtime series picks up twenty-five years after the inhabitants of a quaint northwestern town were stunned when their homecoming queen Laura Palmer was shockingly murdered. The list below includes the 217 cast members appearing in the new Twin Peaks, including Golden Globe winner and Emmy Award nominee Kyle MacLachlan, who returns as FBI Agent Dale Cooper. Those who have previously appeared in the Twin Peaks world have been asterisked. Those who have previously appeared in the Twin Peaks world have been asterisked (*).